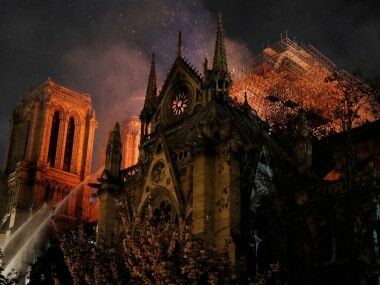 Paris: A huge fire swept through the roof of the famed Notre-Dame cathedral in central Paris on Monday evening, sending flames and huge clouds of grey smoke billowing into the sky. 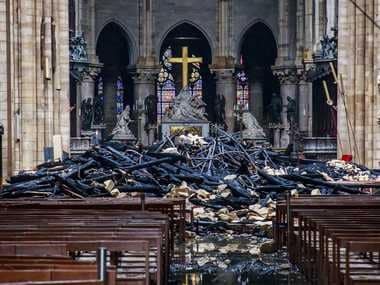 President Emmanuel Macron cancelled a major televised policy speech he was due to give on Monday evening over the "terrible fire ravaging Notre-Dame." Paris mayor Anne Hidalgo in a tweet described it as a "terrible fire". The Paris police department in a tweet called on residents to avoid the area and to "make way for rescue vehicles". 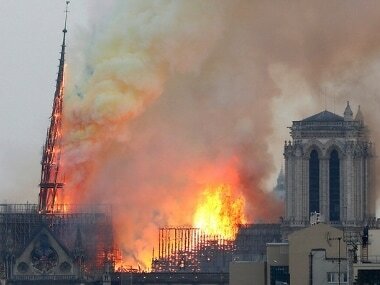 US president Donald Trump in a tweet said: "So horrible to watch the massive fire at Notre Dame Cathedral in Paris. Perhaps flying water tankers could be used to put it out. Must act quickly!"